When my mother passed away in 2012 I was devastated. One of the last things I wanted to do was go through her estate documents and begin the process of getting all that in order. Fortunately, my mother was very organized and had thought through with her attorney, where and how to have her important documents stored, which made my job as her executor much easier. In this post, I want to share where to store estate planning documents. Gifts and bequests by will are an important part of the charitable tradition in our country. Our tax laws encourage our support of charitable institutions through tax deductions and estate-tax savings, and through a will you can continue to support the organizations that you have assisted during your lifetime. For most of us, it usually takes a major life event (birth, death, marriage) for us to prepare a will—and then we finally go through the process of considering how our assets will be distributed upon our death. Commonly the will (and other estate planning documents), are then tucked away in a desk drawer or safe-deposit box and all but forgotten. So where should you store your will and other important estate-planning papers? If a will cannot be found, your assets will be distributed according to the inflexible intestacy rules of your state of residence. Ideally, you should keep your original will in an attorney’s vault—or in a bank vault if the bank is acting as your executor. Keeping your will in a safe-deposit box can create delays, since many states restrict access to such boxes without court approval. In addition to your will, your personal and financial records, legal documents, and tax returns are all essential to an efficient settlement of your estate. As such, they should be safely stored, but readily accessible when needed. Here is a list that shows those records and documents that may prove helpful, and suggestions on where they could be stored. Keeping good records with your original will and/or trust, power of attorney, and health care directives is a must. With these documents, you should give these to your attorney or for safe-keeping at your bank. It is also good practice to keep copies of these documents at your home. When it comes to your investment accounts, you will want to keep these records in a safe-deposit box. This goes for any other related records such as your stock certificates, bonds, CDs, deeds and titles. You want to keep these records in certain safe place for future reference. It is important to know where to put your insurance policies. For your insurance policies, you will want to keep these in your safe-deposit box. This will help you know where to find the policies– while keeping them safe– in the future. For tax returns, there are a couple different places where you will want to store your tax returns. You will want to keep irreplaceable records and receipts in your safe-deposit box. In addition, tax returns should also be stored in a file at home. Asset inventory is very important for safe-keeping. 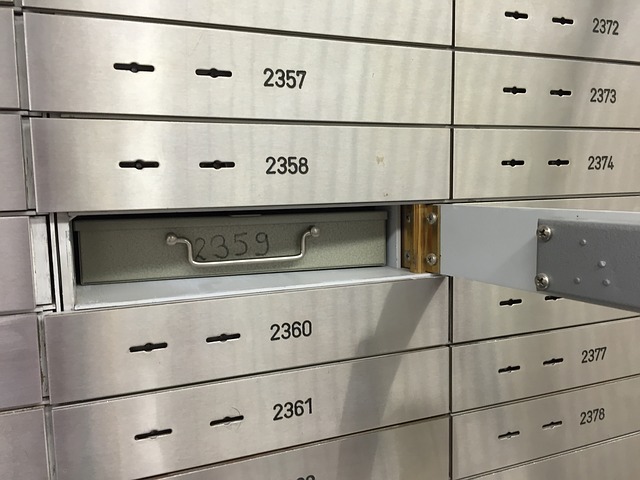 When determining the spot to place your asset inventory, a safe-deposit box is a great option. Keep your asset inventory in this place, and you’ll know where to find them moving forward. Having a will is arguably one of the most important things you can do for yourself and your family. Not only can a will protect your spouse, children, and assets, it can also spell out exactly how you would like things handled after you have passed on, just make sure that you have the original and copies stored in the appropriate locations.